Turn right out of the gate and walk down to New Dungeon Ghyll. Turn left opposite the car park signed to Oak Howe and cross the valley to Side House farm. Take the path to the right and over a couple of stiles, with an excellent view ahead of the days objective - Pike O'Blisco and Crinkle Crags. Keep to the left of the trees near the campsite and through a kissing gate to join a newly constructed zig zag path that rises steeply to the top of Blea Tarn pass. Cross the road at the gate and over boggy ground to join a path on the right which is indistinct at first. The path crosses the hillside to join another path rising from below at a stream. The next section up a stone path is the steepest of the day. At the top of the steps the angle eases and the rocky summit comes into view. 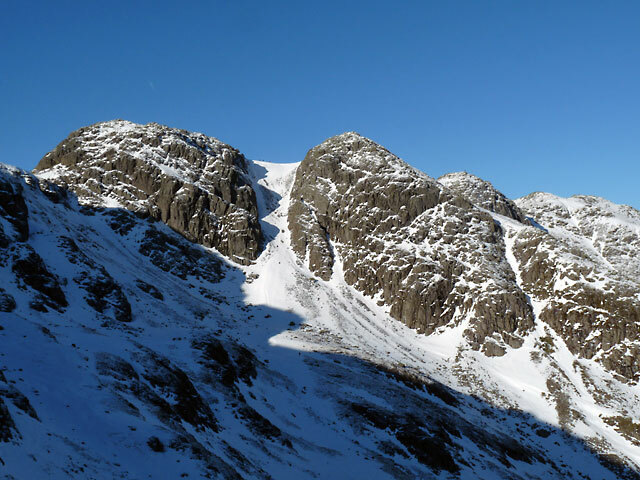 There are several short scrambles to reach the twin summits of Pike O'Blisco. Excellent views all round from the summit cairn at 2312ft. Descend the other side to Red Tarn. A long easy angled climb now leads up to the first of the five Crinkles. The terrain dramatically changes here with steep crags and gullies. The route to the second Crinkle is via the Bad Step - a short but steep scramble. This can be avoided by a detour up a path to the left. 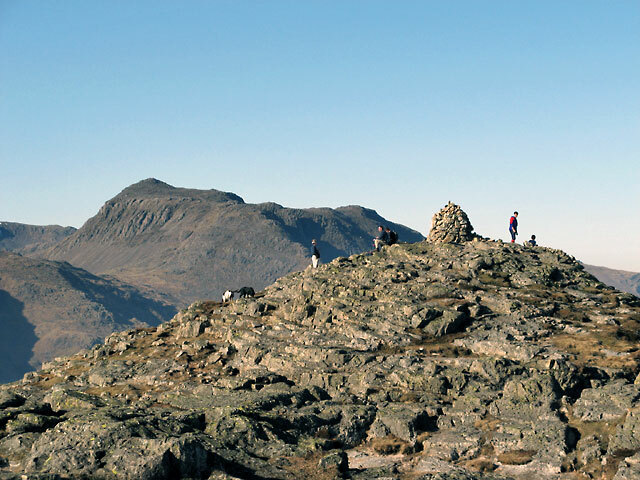 The second Crinkle (named Long Top) is the highest at 2818ft. A ridge runs out west here off the main ridge, which is very easy to end up on in misty conditions. Carry on over the remaining Crinkles until Bowfell looms ahead and you reach the col at Three Tarns. Turn right here onto a stone path that leads onto the long ridge of The Band. Descend the ridge with good views of the Pikes and the valley ahead. 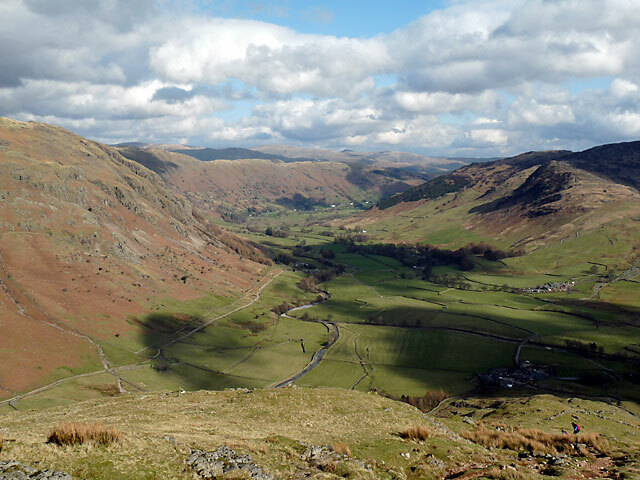 Go through the farm at the foot of the ridge and now on flat ground follow the farm road to Old Dungeon Ghyll. 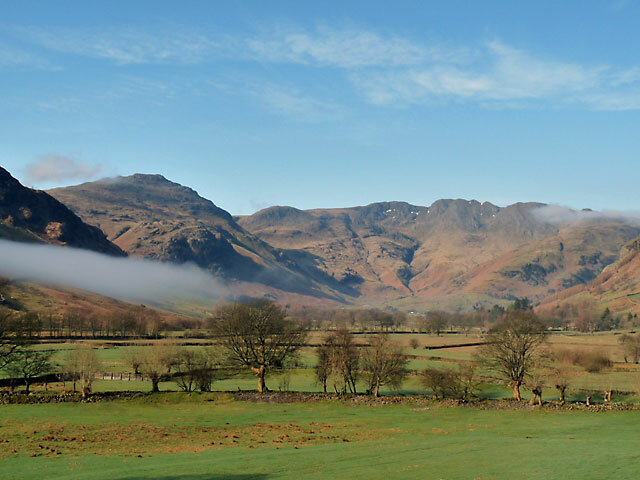 After crossing the bridge to the ODG turn immediately right through a gate signed to Stickle Ghyll car park. The path follows a pleasant route through fields by the beck and avoids the road. On reaching the car park the last ¾ mile is back along the road. Pike O'Blisco and Crinkle Crags viewed from the garden at Long House Cottages. The summit of Pike O'Blisco with Bowfell in the background. 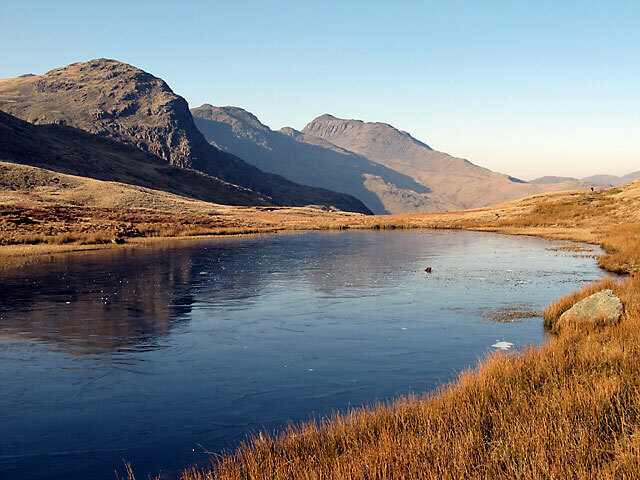 Crinkle Crags and Bowfell from Red Tarn. 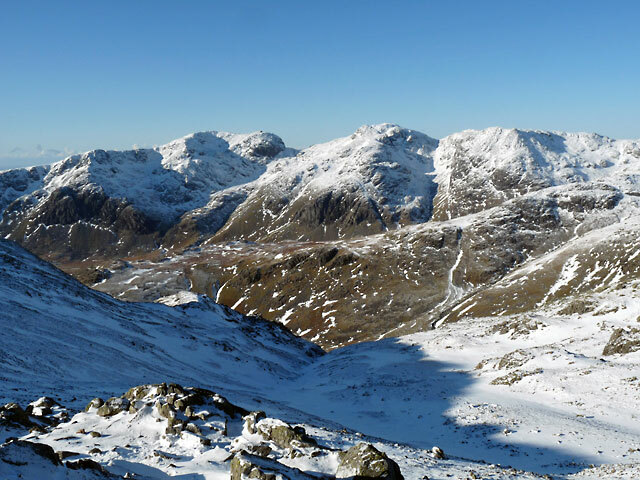 View of the Scafell range from Crinkle Crags. View of the valley descending The Band.